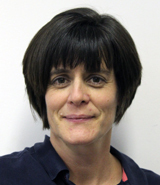 Jenny has more than 25 years physiotherapy experience working in both NHS and Private settings. Her specialist areas of interest are spinal problems, including neck and upper limb pain. She works in both our Wargrave and Twyford clinics. 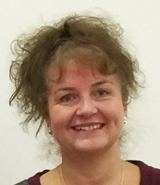 Since 2004 she has undertaken post graduate training and gained experience in Occupational Health and Ergonomics and now compliments her physiotherapy work with the provision of work station assessments, vehicle assessments, home worker assessments and a full range of associated services for both local and national companies. Chris has been a Physiotherapist for more than 25 years, working in both the UK and overseas. 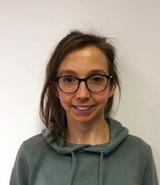 Her initial experience was gained in Neurology (Strokes, Multiple Sclerosis, Parkinson’s disease and Care of the Elderly), but over the last 5 years she has undertaken further post-graduate training and gained experience in the assessment and treatment of musculoskeletal conditions (e.g. back/neck pain; upper and lower limb conditions; rehabilitation). 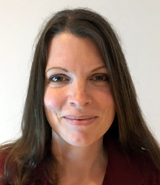 Chris works in our Wargrave and Twyford clinics, but also offers a Home Visit service for those unable to come in to the clinics - she can help with both Neurological and Musculoskeletal conditions. Jakub has a Master’s Degree in Physiotherapy from Poland. He worked in various institutions including social care and sanatoriums and ran his private practice in Poland. Worked with patients with chronic pain, athletes, ice hockey players and football players. In the UK he has worked for various private clinics. 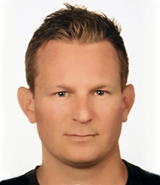 Jakub specializes in body mechanics and uses combination of the most effective therapeutic methods. Likes to work with hands on approach combined with exercises. He continues professional development on various courses in UK and abroad. Jakub speaks fluent English and Polish. Maria qualified from the University of the West of England in 2017. Since graduating she has practiced within the NHS in a variety of settings. 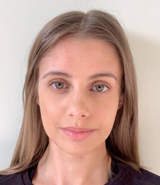 She has gained post-graduate experience in orthopaedics, stroke rehabilitation, and management of long term neurological and respiratory conditions. 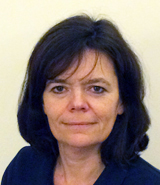 She has developed a particular interest in the diagnosis and treatment of musculoskeletal conditions. Maria is passionate about promoting the benefits of exercise. She believes in the importance of educating individuals to effectively self-manage their condition and reduce risk of recurrent injury. She aims to tailor treatment plans to suit individuals to enable them to achieve the best outcome. Nikki graduated from Manchester University in 2008. She is qualified to help those referred by medical practitioners presenting with many conditions and/or comorbidities from postural dysfunction and neurological conditions through to stroke and coronary heart disease. She is trained in Phase IV Cardiac Rehabilitation and as a Postural Stability Instructor (evidence-based exercise delivered to help older adults manage and improve their strength and balance to maintain functional independence). She is also trained in ‘Pure Stretch’ – a cross between Pilates and Yoga-style exercise, which, based on her own ongoing pain management further to spinal fusion, she strongly believes in the benefits of the repertoire in order to keep a strong core, good posture and enhance flexibility. Anna provides part time admin support for Fit & Able.